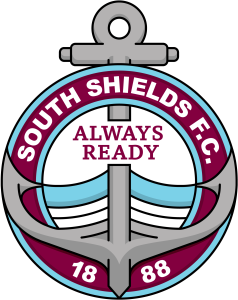 South Shields face off against Basford United on Saturday hoping to maintain their push for a fourth title in four years. But just how have their opponents fared so far this season? Here we take a look at the Canaries’ form guide this term. United currently find themselves in a respectable eighth in the Evo-Stik Premier standings, mainly owing to their home form, where they’ve recorded a total of 12 of their 16 wins, including a 4-3 victory over league leaders Farsley Celtic in September. On the road, however, Saturday’s visitors to Mariners Park have only picked up four wins all season, although all of their four victories have been by pretty comfortable scorelines. A 1-4 victory at Marine was followed by a 0-4 hammering of Bamber Bridge, while Workington and Stalybridge Celtic conceded three and two goals respectively. Basford enjoyed a pretty solid first third to the 2018-19 season, which included a run of one defeat in 11 games in all competitions between October and December 1. However, their form took a turn for the worst towards the back end of the month as they then won just twice in 10 games, a run that included a hammering away at Hyde United by a scoreline of 3-8. Despite recovering somewhat over the following months, a 4-1 defeat at Whitby Town signalled the end for then manager Martin Carruthers, who was replaced by interim manager and striker Liam Hearn. The visitors will be making the 314-mile round trip to Mariners Park on the back of one loss in their last six league games, which has seen them pick up 11 points. This run places them in seventh for the form guide for this period, although the Mariners themselves are top of the guide having made it six wins from six at Workington on Tuesday evening.